Age 82 of Morris passed away unexpectedly on Thursday January 31, 2019, peacefully at her home. Born January 27, 1937 in Morris, JoAnn Dolores was a daughter of Peter and Teresa (nee Stanonis) Kopczick. She was raised and educated in Morris, and graduated from Saint Angela’s Academy with the Class of 1955. On April 26, 1959, JoAnn married George Franklin Knudson in Immaculate Conception Catholic Church in Morris, and together they would raise their family in Morris. She worked for Illinois Bell as a phone operator, until she devoted herself to raising her children. Once the children were grown, JoAnn began her employment with School District 54 in 1971, which was the first year of the hot lunch program in Morris schools. She would serve lunch to countless children for the next 31 years throughout the school district until she retired. JoAnn was an active member of Immaculate Conception Catholic Church, the Polish National Alliance, and the American Legion Auxiliary Unit 294. She was especially proud of her service in the auxiliary, and looked forward to organizing and running the numerous fish fry events and summer picnics the auxiliary would throw. Beyond her community service, JoAnn’s true passion was her flower garden. She loved flowers, and took joy in the fact that they would attract hummingbirds to them. JoAnn was an animal lover who enjoyed feeding the squirrels. She traveled on many senior bus trips, was known for her cooking and baking, and was an avid reader of mysteries and World War II history novels. JoAnn also enjoyed sports, and was a fan of the Chicago White Sox, Green Bay Packers, and Los Angeles Lakers who had her favorite player, Kobe Bryant. More than anything, she was a devoted mother and grandmother who took great joy in spoiling her entire family, especially at Christmas. Survivors include her five children: George Knudson of Morris, Susan (Mark) Brooks of Morris, Steve Knudson (Mary Winchester) of Chetek, Wisconsin, Kathy (Joe) Kutches of Morris, and Stan (Jennifer) Knudson of Morris; seven grandchildren: Christina (Sly) Cosmopoulos, Matthew (Nichole) Brooks, Aly Brooks, Leah and Kirstie Kutches, and Emma and Elise Knudson; three great grandchildren: Aubrey, Colin and Caroline Brooks; as well as numerous nieces and nephews. 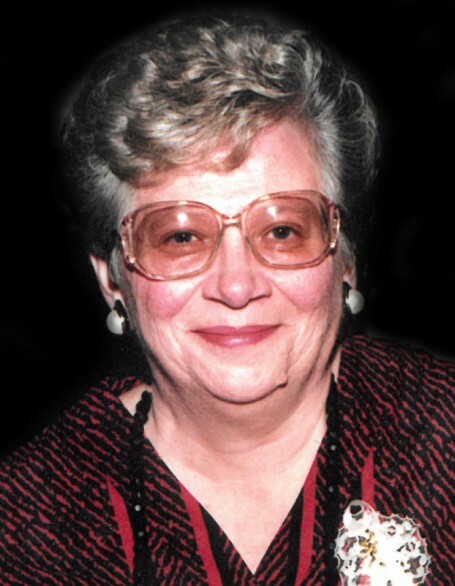 JoAnn was preceded in death by her parents; her husband George on May 1, 1999; and her eight siblings: Ray “Kup” Kopczick, Julie Bien, Connie Donovan, Walter “Shorty” Kopczick, Joseph “Bush” Kopczick, Stanley “Ike” Kopczick, John Kopczick and Maryann Kopczick. Visitation and video tribute will be Tuesday February 5, 2019 at Reeves Funeral Home, 408 East Washington Street (one block East of IL Route 47), in Morris between the hours of 4:00 p.m. and 7:00 p.m. A Mass of Christian Burial will be Wednesday February 6, 2019 at Immaculate Conception Catholic Church, 600 East Jackson Street, in Morris at 10:00 a.m., with Reverend Ed Howe, CR presiding. Burial will follow in Mount Carmel Catholic Cemetery in Morris, where JoAnn will be laid to rest with her husband. Preferred memorials may be made to the Morris Hospital Foundation or to Special Olympics Illinois. Funeral services and arrangements have been made under the direction and care of Reeves Funeral Homes, Ltd. in Morris (815) 942-2500.